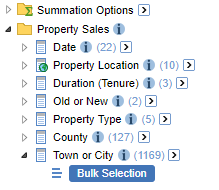 If you want to add all the values for this field to the table, then you can still drag and drop the field onto the table, or use the Select all at level drop-down list, just like any other field. 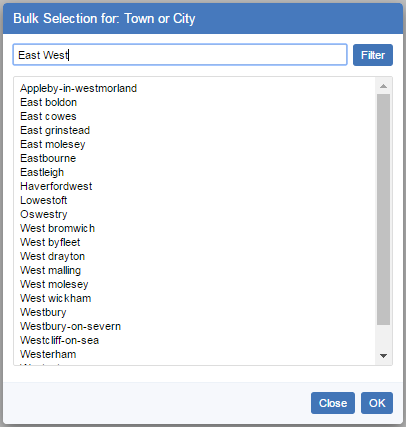 However, if you want to select a subset of the available values to add to your table (or remove from your table), then you need to use the bulk selection feature to select the ones you want from the tree. 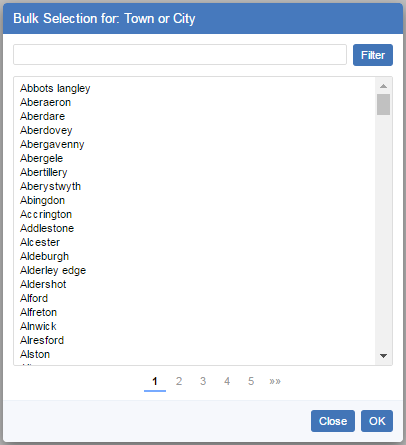 Type your filter in the text box and click Filter. You can enter multiple filter strings: separate each one with a space. 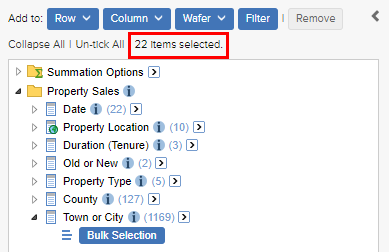 If there is still more than one page of results, you can click the pagination links at the bottom to switch between pages.